2015 is turning out to be a horrible year. I've already lost two family members, and the NBA family has lost a half dozen in February alone. NASCAR lost Thee Dixon recently as well. 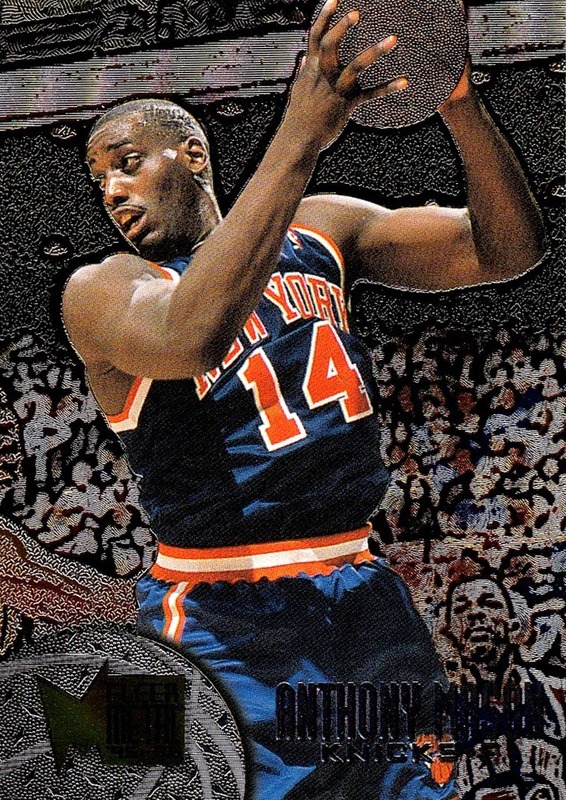 I just saw when I got on my computer that Anthony Mason passed away overnight, at the age of 48, due to congestive heart failure. This is a shock to me. I didn't think it sounded good when he had a series of heart attacks recently, but last reports were that he was improving. I have a LOT of memories of him playing, and while I only got to see him with the Knicks for 3 months in 1996, that is the team I most associate with him. 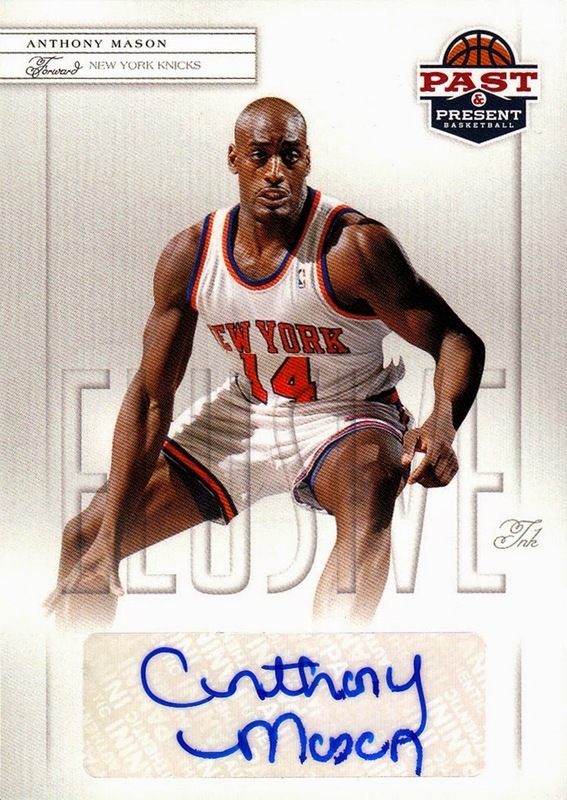 When I first discovered the NBA in April 1996 I watched more Knicks games than anyone else, and he was one of the starting forwards for most if not all of those games. 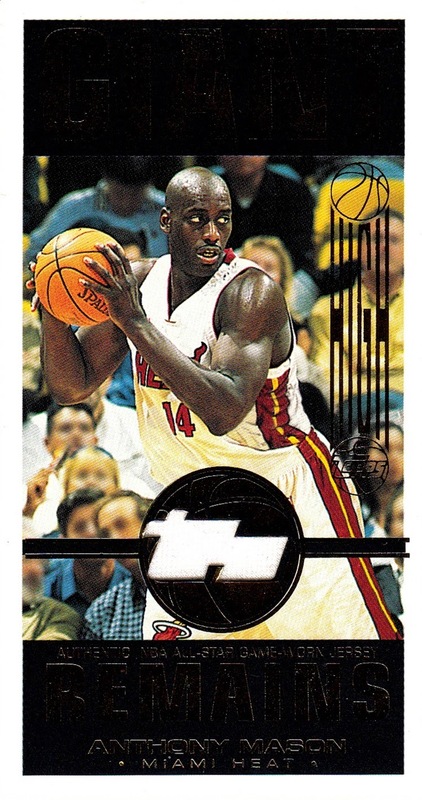 He also played for the Charlotte Hornets, Miami Heat and Milwaukee Bucks during the years I was watching the NBA. But to me those 1995-96 Knicks are a special team in my memory, and he is the first to pass away. The card looks a lot better than it scans. He also appears on both a relic and autograph in my collection. The relic is a jersey card from one of the 2001-02 High Topps' insert sets, the inappropriately named "Giant Remains" set. I really am saddened by this news. Rest in peace, sir. Saw the news this morning that Earl Lloyd had passed away yesterday, at the age of 86. Many NBA fans may not have heard of them, and that's a shame. He was the man who broke the color barrier in the NBA- the first Black man to play in a league that is now roughly composed 90% of Black men. He did this in 1950, playing for the short lived Washington Capitols, and, after a brief stint in the US Armed Forces in Korea, he returned to the NBA and was starter on the 1954-55 Championship winning Syracuse Nationals. I can't fathom some of the stuff he and others went through. Reading about it makes me sick. He was, in short, my favorite kind of player- the kind who cares more about winning the game than making the highlight reels. He only has 25 issued cards, and I have only one of them, which happens to be the only card issued during his playing career. There was only one set issued in the 1950s, and it came late in his career, the 1957-58 Topps set. He retired the season before the next set issued, 1961-62 Fleer. He was a coach in 1971-72 and the start of 1972-73 but while Topps was producing excellent sets at that time, the concept of coach cards was still 18 years in the future. I have been pushing Panini to include more pioneer era players, but so far no success. They only include players from the 80s and 90s with one or two people who came before then- usually Wilt Chamberlain and George Mikan. Chuck Conners has ZERO cards, not a single one. Nat "Sweetwater" Clifton only has a handful of cards, and most are from his Harlem Globetrotter years. Both of them played in the NBA less than a week after Mr. Lloyd did. The Pioneer era is being forgotten, and that needs to change. 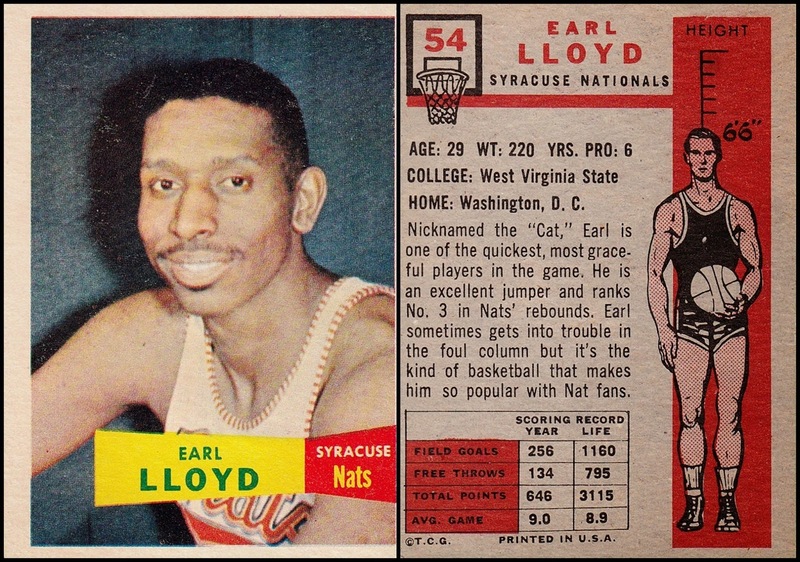 But today, this post is meant to honor the life and contributions of Earl Lloyd, and I will close with my scan of his first card, and the only one in my collection. A few days ago, our TV died. Almost catastrophically, as it started to smoke and burn. Luckily, we got it outside and into a snowbank before any damage could be done. So, a trip to Wal-Mart was in order. We hadn't been to Wal-Mart as a family since 2013, shortly after I got out of the hospital. It was the first time we'd done anything as a family in over a year, with all the health problems I and my mom have had over the past two years. We had a lot of fun...and it was made better by the fact that I didn't think we'd ever be able to do anything like that ever again. But that's a whole other topic. We didn't end up with a TV, as they were mostly all sold out, but they DID have two blasters of 2015 Press Pass left, which surprised me. I thought that they would be sold out for sure, having been on the shelves since November. I was wrong! I snapped them both up, and the first one was not particularly good. I got only two new cards in the entire blaster- the one per box "hit" and the one-per box purple parallel, which was a Wal-Mart exclusive. Box two did the job, as I got all 4 cards I needed to complete the set, as well as the hit and purple parallel. Box 1 wasn't a total waste, though. I was able to replace all the damaged cards I wrote about last time I talked about 2015 Press Pass. The hit on the Jennifer Jo Cobb card especially was noticeable, not just my OCD acting up. I was glad to get replacements for all the damaged cards. The Keselowski tire came out of the first box, and it has the pointy thing that use to measure wear on the tire. It's the second time I've pulled one of them, having previously pulled a Jimmie Johnson tire from 2009 Press Pass in 2009. Here are the purple parallels. I'm a big fan of parallel cards, although I would have preferred if the entire card was not mirror foil. Beggars can't be choosers. I actually have two of the green parallels # to 10. Green has always been my favorite color, for what it's worth. With that, I have now completed 3 sets in 2015, and I have completed each Press Pass set from 2012-2015, which, of course, turns out to be the last 4 sets. I'm fairly close on ALL of the ones I have not yet completed, some under 5 cards needed, except 1995, 1998 and 2000 which I have very little of for some reason. I've already completed 1993, 2002, 2003, 2004, 2005, 2006 and 2007. So that's 11 of the 23 main Press Pass sets. Of all the relics in my collection, which is somewhere between 500 to 1000, (I lost the exact number due to a floppy disk crash, and I have not finished recreating it yet) I believe this is the first brown relic in my collection. 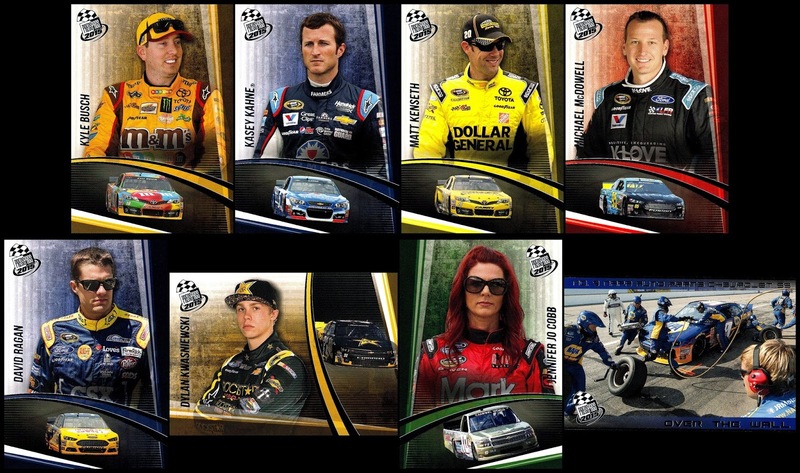 Kyle Busch is not my favorite driver, but there's no denying his talent, and I'm still happy to have the card. So, by now you have read this far and hopefully you read my previous post where I completed 1994 VIP from a RAOK several days ago, on the 21st. That's only 2 sets. On the 23rd, I received another huge RAOK from a Database member, which covered everything I collect- NASCAR, NBA, Non-Sports, even a few hockey for good measure. (I'll show those soon, at least one of them, stay tuned!) Among the box he sent me was a factory set of 1991 Star Picks, which, naturally, completed the set! I had some before but about half of the 73 cards were new. It's only the second NCAA basketball set I've completed, the last was back in 2003. I also purchased a set on Ebay called "Thunder in the Water", from 1991. It's a 25 card set of jet boat racing. I had no idea it existed, and I think there are several more issues that came after this one. I am not sure if they carried the same numbering system or not. As it was only issued in factory set form and is under 100 cards I don't count it in my official completed sets listing, but it IS a set I have all of now, and that arrived to me on the 24th. It actually cost more for shipping than the set itself did! My love of racing is not limited to NASCAR. If the other series carried the same numbering system, and I complete them eventually, it WOULD be listed among my completed sets. I need to do more research, and I only know there is at least one later series because on Ebay the suggested items at the bottom showed a card in the same style that I did not get in the complete set. I didn't think to take a picture, and the set is not yet on the Database, so no link either. I LOVE oddball/obscure stuff like this and I'm happy to have it. A friend sent me one of my Top 10 most wanted NASCAR cards...and didn't even know it! Because, of course, I've never actually put my Top 10 Most wanted NASCAR cards list to paper (or keyboard), I've kept it solely in my head. So, it led to a pleasant surprise several days ago when I was the recipient of a Random Act of Kindness from a fellow Trading Card Database member, who sent me more than 75 NASCAR cards I needed, all from 1994 and 1995. One of them happened to be this one, from 1994 VIP, of Wendell Scott, which ranked #7 on my Top 10 Most Wanted NASCAR cards! He didn't know that of course. 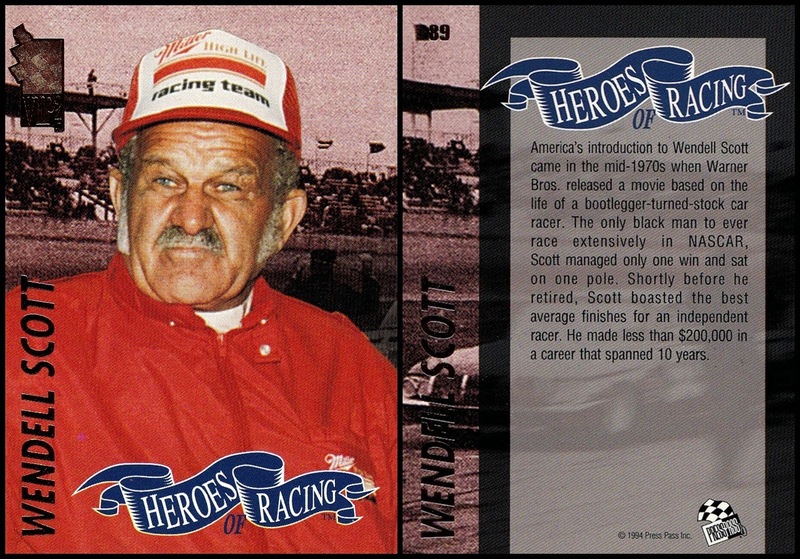 This was the last Wendell Scott card issued until 2010. I've written about Wendell Scott before, click his name in the "tags" at the bottom of the post to read my previous posts about him. Included in that group is my very first card of Charles Hardy, who only got a handful of cards issued in 1995 and 1996 while he was Bill Elliott's co-owner. I was looking at these while I watched the Xfinity race (it's going to take me a while before I get used to that- I still call it the Busch series most of the time) and later on we saw a first time winner who was not a Cup driver- can't beat that! 1994 is my favorite year for NASCAR cards, and this is the most I've gotten from that season since 2010. 2/21/15 was a good day. Thanks for reading, and thanks to Mark for the cards! 2015 Daytona 500 brings what may be the last current NASCAR packs I ever open. The 2015 Daytona 500 was today, the true start of the NASCAR season. It was a solid race. Not as much passing as I would have hoped for, but the last 30 laps or so were very good. I won't spoil the winner but he has appeared on this blog before. It is a driver I root for so I can't say I am unhappy with the race. With Press Pass out of business and no new company stepping up to the plate, the 2015 Press Pass set may be the last current NASCAR product ever released. I had two blasters from my local Target saved specifically for today, the day of the 500, and opened them shortly after the race began. I have cleaned out my local Target, and by this point I am assuming they are going to be sold out from Wal-Mart as well, but I was not actually able to get there. If they are...then these were the last current packs of Press Pass/NASCAR I will ever open. That's not a good feeling, but I did get some nice cards. Each Blaster promises one autograph or relic, and I got one of each. I did not have an autograph of Gilliland or a relic of Almirola before, so I was happy with that. This is actually the first base Signings autograph I've pulled from the 2015 set, but the 4th overall. Nice amount of lettering on the tire piece...there's almost no unpainted rubber at all! I really like the Burning Rubber concept (race win tires) and I am always happy to see a first time winner, so I really like this card a lot. Each blaster also gives you a parallel. Target's were red. Wal-Mart's were purple. I did not get a single one of them. Unfortunately they were both from one of the pointless subsets Press Pass loved. They couldn't be bothered to include the cars, but we got everything from eyeball closeups to driver's "star signs" over the years...Still, neither were duplicates, so there's that, at least. I went in 12 cards short of the base retail set, and I got 8 of them. Unfortunately 6 of the 8 came out of the pack damaged, with the Jennifer Jo Cobb card with the biggest hit. Some of the cards that got water damage earlier this month are in better shape then the brand new just out of the pack cards from Press Pass. I wish I could say I was surprised by this. This is a really terrible, craptastic picture. Sorry about that. I can do better than this, I really should have taken a better one, but I'll have all of them scanned hopefully later today, so I didn't want to go through a lot of effort on this. I'll edit in the scans when I get them made, if I remember. The driver on the top left who is too blurry to make out is Dylan Kwasniewski. Here is the scans...I was not able to make them yesterday, but I got them done now. I ended up with another stack of duplicates- including at least one more copy of the #11 Austin Dillon card. Of the 6 blasters I opened, I got that card in 4 of them. Plus I had a few copies beforehand. Yet I still ended up 4 cards short. Also not much of a surprise. If I can't find any more blasters or loose packs at Wal-Mart, I will try and trade for the last four cards I need, or if not, I'll just nab them off Ebay I suspect. Most likely I would be able to trade for them, but I want to at least try and get them myself first. Several topics I want to cover, so I will create a roundup post to cover them all. #1. When I first joined the world of card-blogging, I saw a post that referred to Mark Hoyle as "Legendary friend to card bloggers", or something along those lines. NOW I get it. After my flood issues earlier this month, Mark said he could help me replace one of the 1974-75 Topps cars that I lost. He also took a look through my wantlist and found some others I needed. I was shocked when I got the box! Look at all those 1974-75s! 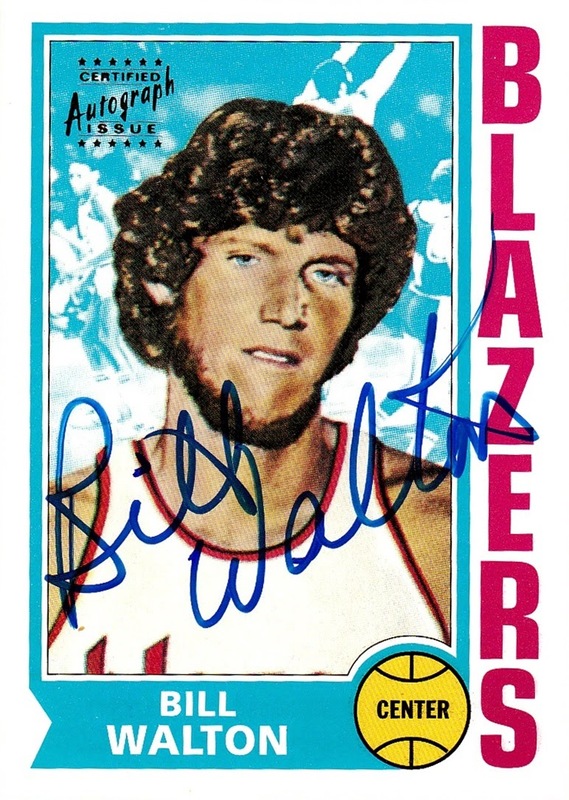 And yes, that is the key to the entire set, Bill Walton's rookie card! This marks the first time in over a decade I've been able to add any of the 50 Greatest Players' rookie cards to my collection. 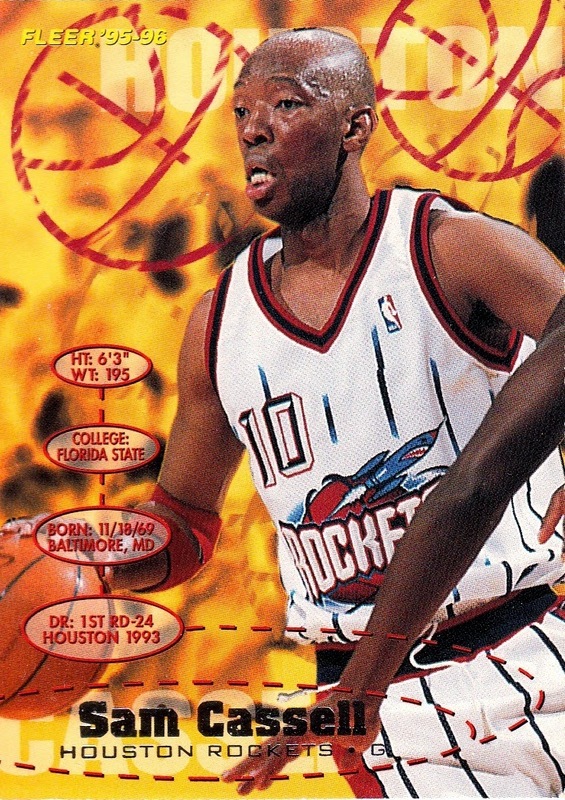 This was the rookie reprint issued for the NBA's 50th Anniversary celebration in 1996-97. 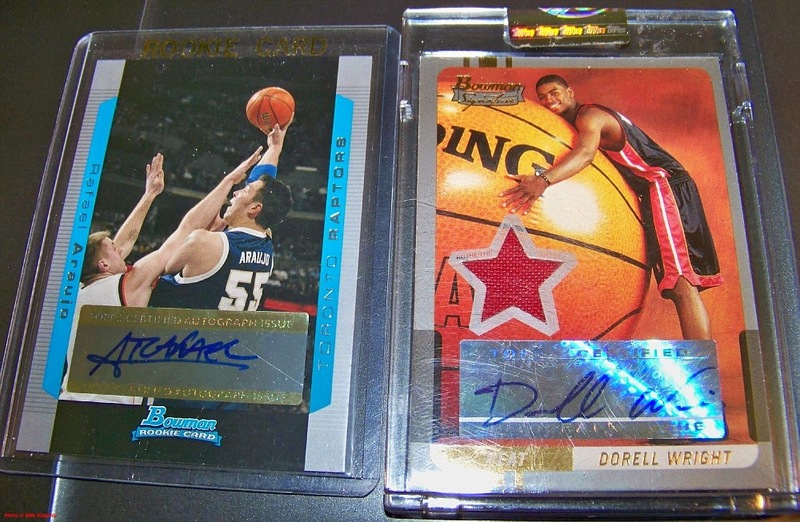 The 50 greatest players got their rookie cards reprinted, and 10 of them had autograph variations. And that's not even all of them, some I forgot to grab for the photo, and didn't feel like taking another. Thanks so much Mark, I really appreciate it! #2. I can't remember if I shared these or not. I got them from Sports Card Mask-A-Rade a few weeks back. Great image on the Dorell Wright card. 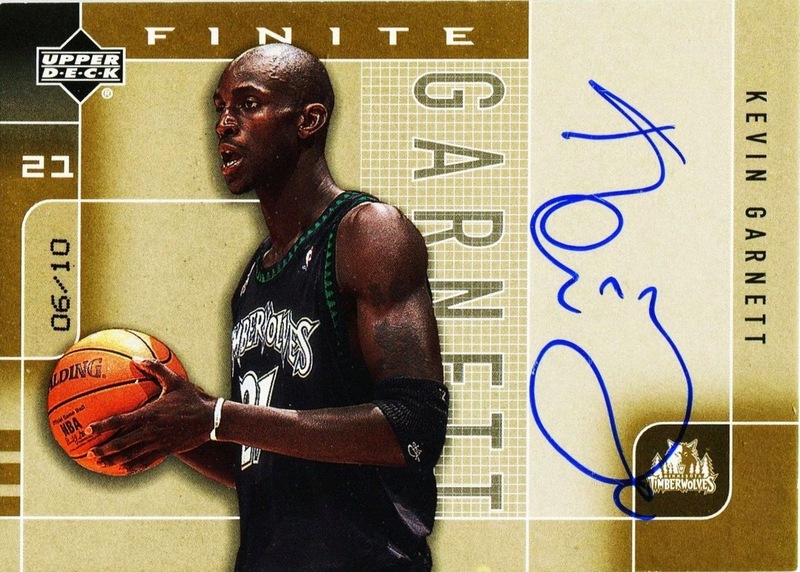 This is by far the best Kevin Garnett card I ever pulled. #4. 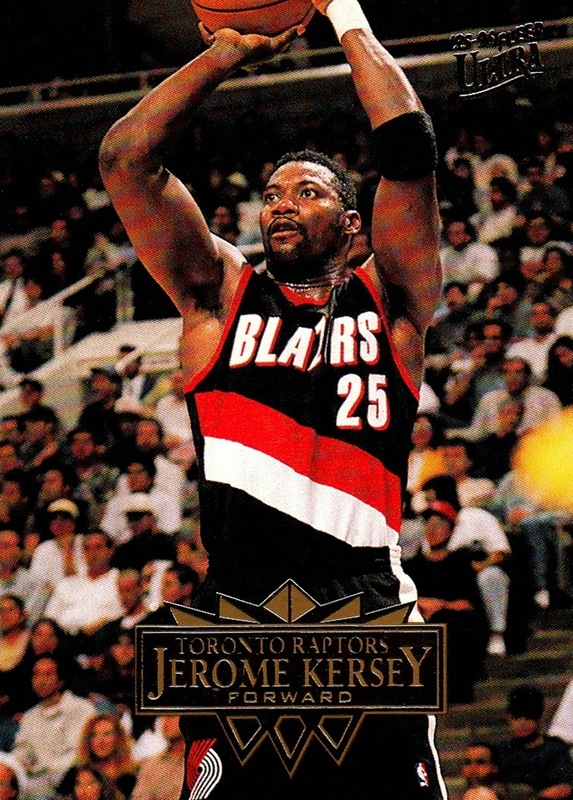 Rest In Peace to Jerome Kersey, who passed away today at age 52. A real tragedy, he lost his life due to a complication of a knee surgery this past Friday. A blood clot that formed there traveled to his lung, and he was unable to survive. I remember seeing him play when I first started watching, and he's far too young to have passed away. #5. NASCAR's back! I am watching the first Duel race as I type this post. 2015 marks the first year of NASCAR where I have nothing new to collect. I discovered the sport through 1/64 die cast replicas at Christmas 1992, but I retired from collecting them at the conclusion of 2014. And then Press Pass went out of business in January of this year, meaning no new cards for the foreseeable future. The racing has been better in 2015 at Daytona than it was in 2014, so that's a good start. Hopefully the season can stay that way, I did not enjoy 2014 all that much to be honest. #6. I am debating the idea of doing my own take on a "Card of the Day". It's not a wholly original thought- the Trading Card Database does it every day, as do some other websites. I was thinking about doing it a little differently, though. For one, every card would come from my collection. I would also write up a little piece about the card- either how I got it, or a bit on whatever is featured on the card, or possibly/probably both. I was thinking one day a week would be an autograph or relic, and one day of the week would be a serially numbered card. I actually have enough autographs and relics that I could do one day a week for them, as well, if I chose to. Some days would be random, while some would be reflective of whatever's going on in the world of sports. I would like some input though; Would anyone actually want to see this or would I just be wasting my time? Should I do a day each week for autographs and relics, or combine and alternate them? Should I pre-empt them when I have something else to say, or make two posts those days? Would it drive my OCD nuts if I miss a day? Could I sustain it? Follow through is not always my strong suit, but I also never tire of talking about cards. I really think it would be fun to do, but it would take away time from scanning and posting too. I truly love writing about my cards, and with more than 120,000 in my collection, writing about one a day would keep me busy for more than 328 years (!) so it's not like I have to worry about having nothing to say. Even if I broke out relics, autographs and serially numbered into their own days it would take me several years before I had to worry about running out. If I do do this, it would cover everything in my collection. It would include the NBA, NASCAR, non-sports, as well as the occasional baseball, football and hockey cards. I have to admit I would probably favor the obscure more than the big names. #7. I have mentioned in the past that I keep a paper listing of my card collection. I am trying something new with my hockey cards. I was given over 2000 of them on January 31st, and I will post my Epic Mailday Part 2 soon, I am still working on documenting them. I want to make sure I have all the numbers correct before I post. 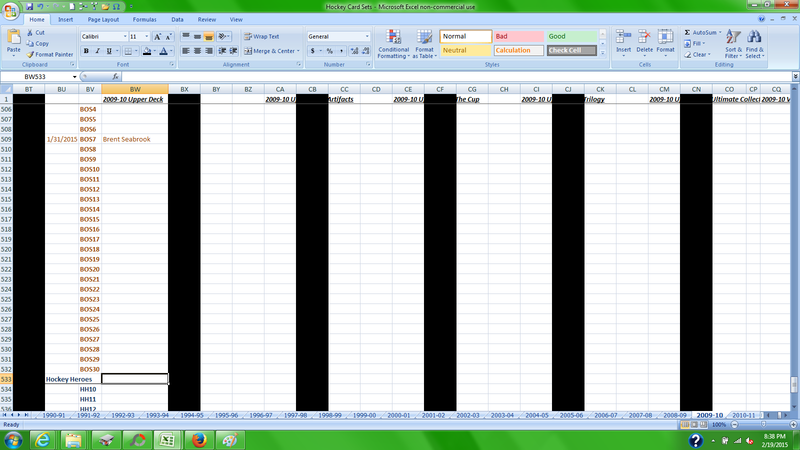 Instead of writing them out- that would kill my hand!- I have decided to document them on Excel. 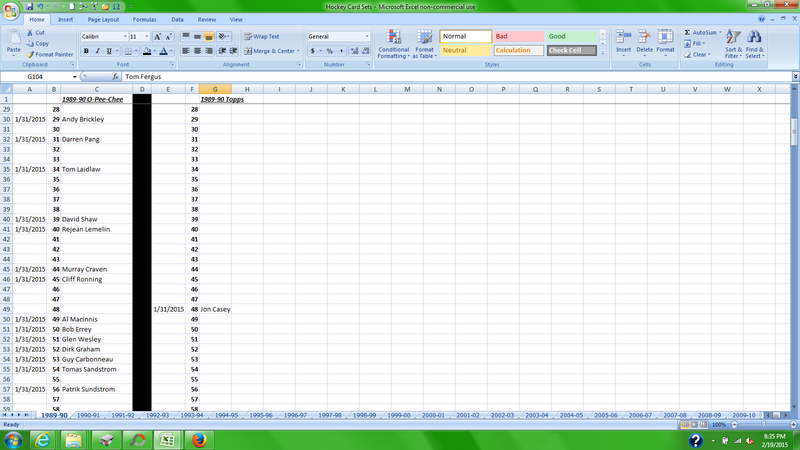 What I do is create a listing of each number on Excel, and then I type in the ones I have and the date I got them. I tried to create something like this for my NBA cards back in 2003, when I got my first laptop, but I bailed on it in a matter of less than a week. Unlike the failed attempt at the NBA listing I don't have a paper listing for hockey, so I MUST finish it to make sure my collection is correct. Here is a screencap of the 1989-90 listing. I got a lot of the 1989-90 O-Pee-Chee set so there is actually something to look at in this screencap. The black columns separate sets. I might create a paper listing for my hockey, football and baseball cards some day, but for now I will try and document them on Excel only. I only started last night before bed so I still have a lot of documenting ahead of me. Luckily, I enjoy it- I AM OCD, afterall! Someday, after I finish scanning my entire collection, and I have nothing else to do, I may go back in and insert the teams each person played for, or I may create listings like this for my sets I also have on paper. Or I may not, it'll be years before I have to decide. As always, thanks for reading, and hopefully for your input! I learned some news yesterday that, while 5 years past, is new to me- and it's not good news. I had taken a break from the NBA between 2006 and the 2011 finals. I now regret it immensely but while I was away from the League I did not keep up with it at all, for the most part. I watched the finals, usually- but not always- and I tried to catch at least one game a year that Elton Brand played in. Yesterday, I read an article on Yahoo about "Where are they now" of the 1996 draft. In it, I learned the terrible news that sparked this post- the murder of Lorenzen Wright in 2010. 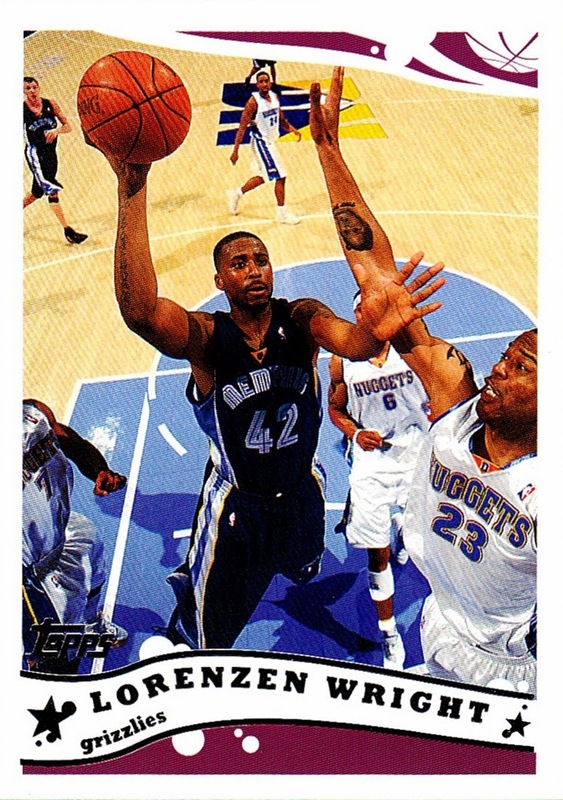 I always liked Lorenzen Wright, he seemed like a genuinely good person, and that news made me sad to read. The murder remains unsolved to this day, and from the Wikipedia article, it sounds like they have no leads (although it is Wikipedia). He lost a daughter to SIDS (Sudden Infant Death Syndrome) in 2003 and founded a Scholarship Fund in her name, but I do not know if that still exists now that he is no longer around to fund it. 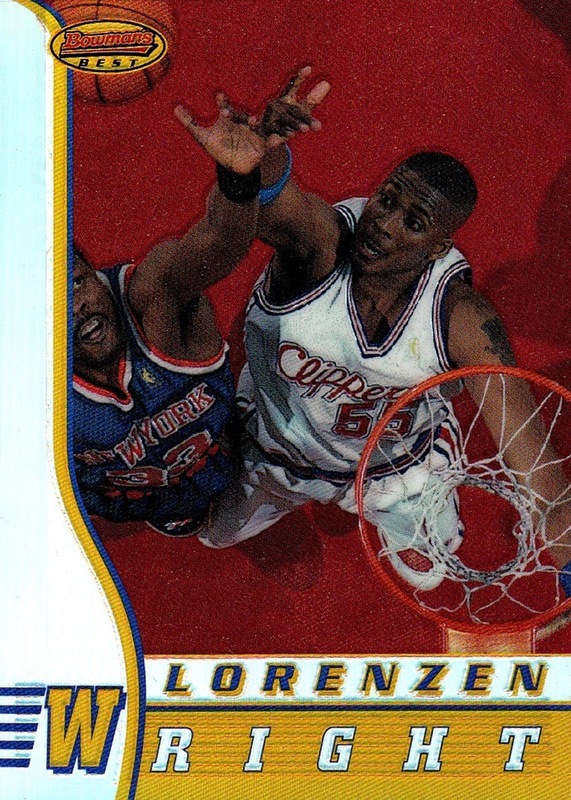 Lorenzen started his career with the Los Angeles Clippers, who drafted him with the 7th pick in 1996. He played his first three seasons with them. I almost surely saw that Knicks-Clippers game in 1996-97 when it happened. Although I have no way of knowing now, I live in the Knicks broadcast area and watched most of the games they played at the time, so the odds are high that I did. He then was traded to the Grizzlies, who moved to his home town of Memphis for the 2001-02 season. 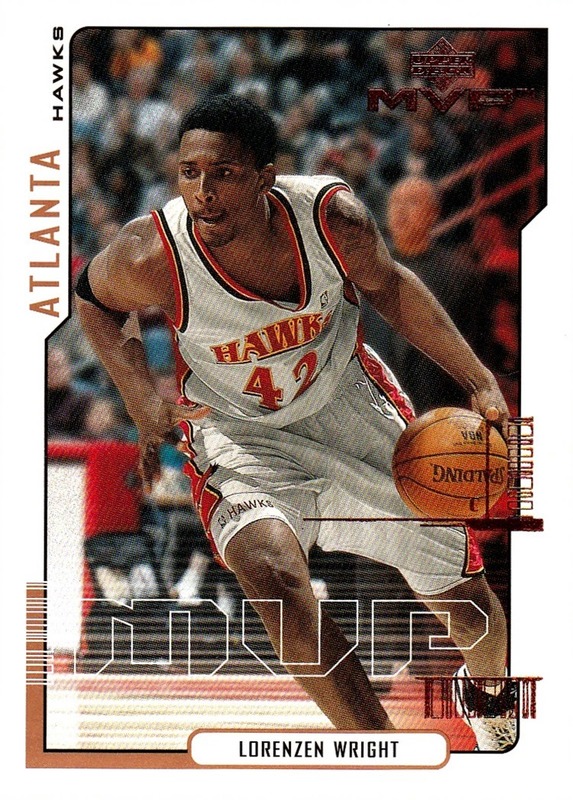 He would stay with them through the end of 2005-06, before rejoining the Hawks for a year and a half. He also played half a season with the Kings and his final year with the Cavaliers, but I have no cards of him in either of those uniforms, as they came while I was away from the game. The Database shows that I have 95 cards of him in my collection, although they reckon differently than I do. (If more than one person is the subject of a card, I count that as a card of 2 people, or 3 people, etc. whereas the Database counts it for each person). I have gotten three cards of him in the last month, via trade. The Find a Grave link was the first External Link I've ever posted to the Database. Rest in Peace, Mr. Wright. Valentine's day 2015 marks 19 years that I've been an NBA collector. it is also the one year mark since I hit 75,000 different cards. That was, truly, a coincidence. I normally know when things like anniversaries are coming up because I write everything down (I'd forget otherwise) but I saw a box online marked down more than half price, so I had to get it, and it arrived that day. But who needs romance when you have collections? 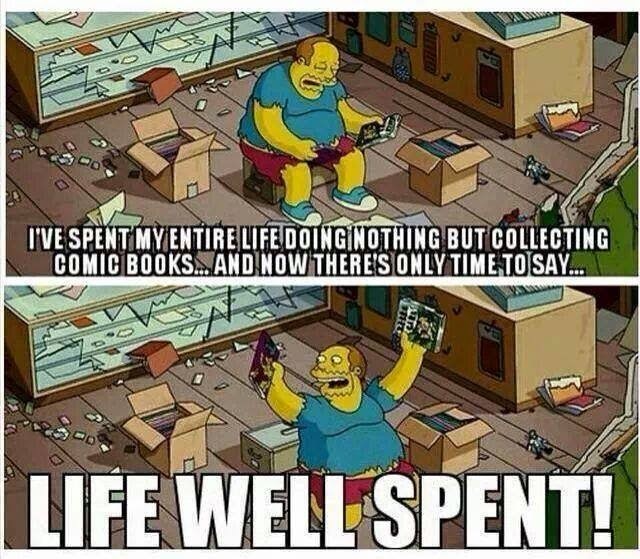 I'm very much like Comic Book Guy in real life. So what if I have not had a girlfriend in more than 20 years? I've got no time for that stuff when I have cards that need sorting. Also, you don't meet many women when you are spending your entire life sorting cards. On a serious topic, next year at this time I'll be planning for my 20th Anniversary of collecting the NBA. That's something worth celebrating. 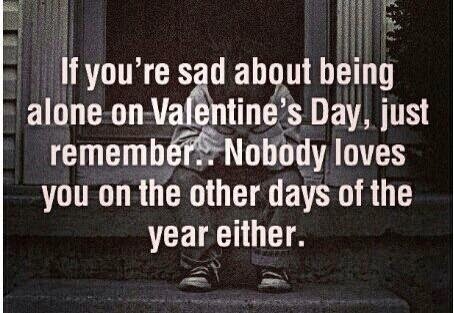 But HOW I should celebrate...Hmm...I'm open to suggestions. I've already completed 1995-96 Fleer, the first set I started with. 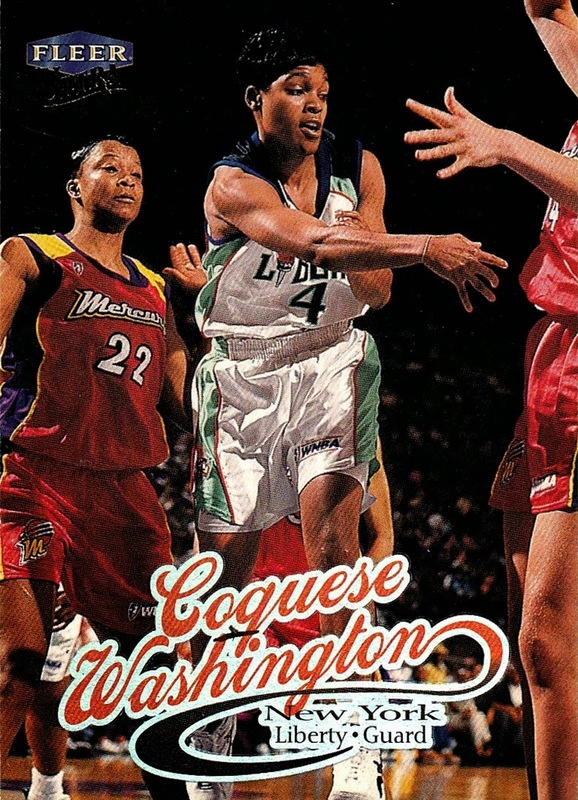 (As I've shown before, this was my first NBA card) So that's out. I can thank my mom for giving me my first pack that Valentine's Day...I bet she had no idea what kind of monster she was creating...but I'm eternally thankful that she did! I have no ideas as of yet, but I have 366 days to decide. As always, thanks for reading. And, maybe, laughing a little! 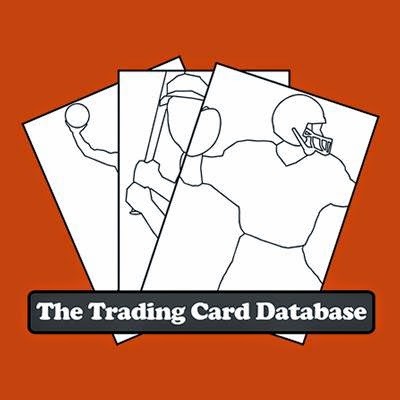 The Trading Card Database hits 1,000,000 cards scanned! Yes, you read that right...1 million cards! It has become my favorite website on the internet, (moreso even than my own website that I have maintained since 2004) and I always have at least one window open to the Database- usually more than one. (One for working, one for researching). There are all kinds of great features on the Database, some I am still discovering, even after spending so much time on there. Some time late yesterday, the Database hit the 1 million scan mark. That is a MASSIVE accomplishment! 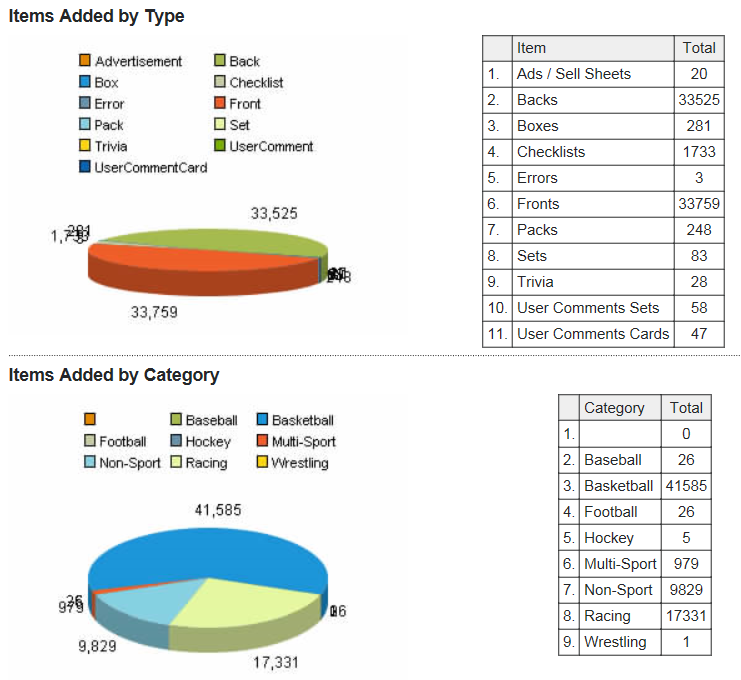 The million scans cover everything- every sport and non-sport set is either posted or in the process of being posted to the Database. Literally, everything, dating back to the birth of trading cards in the 1870s. Baseball of course has the most cards posted, but that only makes sense because it has had the most cards issued over the years. I don't know yet which card was #1000000, Admin will post that later. I do know that I was not the million-card poster. I only posted one scan yesterday (2006-07 Topps Turkey Red #226 Larry Bird- a card at one point I believed would be the last new NBA card I ever got, but that's another topic for another day). They even supply a color coded pie chart! (mmmmm, pie) I screencap it periodically, and that's what you are seeing now. The errors number is off. They now allow me (and anyone else who qualifies) to correct the errors ourselves instead of having to send them a correction, and they don't update to our contributions chart. Everything else is accurate. The Database averages over 1,000 new scans posted every day, so it will be here before we know it, I'm sure. This is their logo, which I lifted off their Facebook page. List of cards lost to flood. With pictures. I've finished going through my duplicate stashes and whatnot, and I was able to replace about 15 cards. But the number lost still stands at 245. I thought was going to be able to get away without losing many Star Wars cards but they curved as they dried, some worse than others. These are some of the worst damaged. It's kind of hard to see the damage because of the camera flash, especially on the 2005-06 Barbosa and 2003-04 Factory Set Bosh. Seeing this damage for the first time last night is going to haunt me for many years to come. There are more boxes I did not photograph, too. The 5000 count box was what I store the majority of my NASCAR trade stash (duplicates) in. I lost cards ranging from 1997-2012 in there. These cards were all flat before. They are even more curved than the photo shows, I am holding them together here. The old brown cardboard is all Star Wars. This isn't everything that was damaged, just some. As you read the list below, you just know some of these are going to be next to impossible to replace. I'm still hurting from this whole thing, my cards are my life and it has made me physically ill dealing with all this loss. Ugh. Red are inserts, blue parallels, green promos. 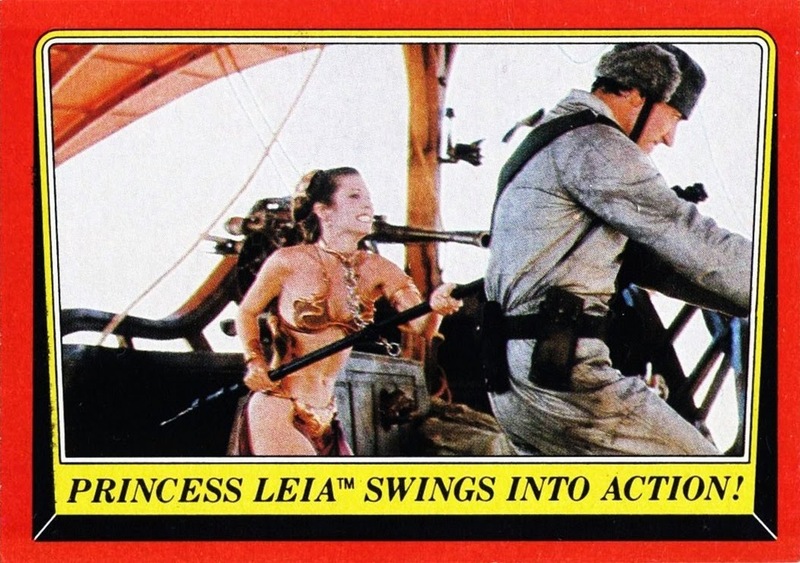 1977 Topps Star Wars #271 Do you think they'll melt us down, R2? I would really like to hunt down replacements for these cards. I loathe to spend money on something I already have, but some of these are so far gone it's pretty much the same as not having them in the first place. I pride myself on the fact that every card (but one) that has ever entered my collection is still a part of my collection, so replacing these is now my #1 priority. So frustrated right now. For the past two hours I've been dealing with the after effects of a major water leak. I've lost cards, some of which I've had since 1988, when I began collecting. I've lost books, my #2 passion behind cards. I can't even bring myself to go through the water damaged cards yet to find out what I lost. It's at least 300 cards. Some are worse than others, but I know some are going to be a total loss. Topps base cards on white card stock have been turned brown, for example. I did find out, however, that when a Panini Prizm card gets wet, the color actually runs. I will get a picture of that tomorrow and post it when I post the list of what was lost. My trade stash for NASCAR got hit hard. I lost about 300 more of those. They are all duplicates, but I still hate to see any cards get damaged. And now I have to go in and remove them from my tradelist, which I put so much effort into in November and December, which I've talked about in a few posts. I know I lost some vintage, too. I saw several 1974-75 Topps NBA cards that were in a box I had just gotten out to scan last week, but hadn't gotten to yet. I know it could be worse- just a few months back I was doing a large sorting project with the majority of my collection in the area that the water hit- but it's not much of a comfort. There were a couple of instances where the box got wet and the cards inside didn't- thank God! One of those instances was one of the mixed boxes that I love so much. When checking them to see if there was damage, a purple sparkle caught my eye- it's a parallel of 2013-14 Select numbered to 99. It appears that nothing serially numbered got damaged....which means everything is replaceable. But I can't be sure until I go through the stack of damaged cards. I will do that in a few minutes. I'll post a list of what I need to replace after I can cross check it with my duplicate stash- my NBA and Star Wars duplicates stayed dry. And to add insult to injury- my all time worst day in the hobby comes 13 years to the day after I lost my dad to cancer. This isn't quite part 2 of the Epic Mailday post, but it's part of the series of entries spawned by that epic mailday. I finally started typing my new cards into my chart where I track the order I get my cards. I am so OCD I started doing that on January 1st, 2014, and I've kept at it, already filling an entire college-rule notebook and well into book #2. It serves no purpose other than satisfying a bit of my OCD nature. With all the cards I got on the 31st, however, I know that I can't write all of them. For one, it would probably fill my second book totally, and perhaps more importantly, it would pretty much kill my writing hand. I CAN write with my left hand if I need to, but it takes a long time and is pretty ugly- not to mention the fact that my handwriting isn't always the best in the first place. So what I am doing is going to put a line in the book to check the Excel file to see where the hockey, football and baseball cards go in relation to the NBA, NASCAR and Star Wars cards. I only started typing them a few hours before I went to bed, and I got done roughly half of one of the big boxes shown in my post of that day. It's a 900 count box, although they never quite hold 900 cards. I will pick up where the arrow points to in the box...I still have the rest of the box, above the arrow, all the other boxes, and one box I forgot to include in the photo. (ooops. I knew it felt off when I was taking the picture!) I guess I got a little past halfway on box #1. I have numbered all the boxes using PhotoScape. 4 is the one that missed the photo. Remember I said that I was at 699 cards for the month of January before then? I stopped at 1100. Considering that I have another full 900 count, half the first, and 5 other boxes, I think it's safe to say I will be setting a new record for most new cards in a day! 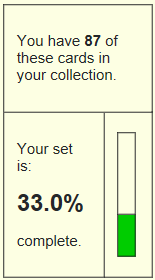 I've also gotten 46 new sets already, blowing the old record of 22 out of the water by a WIDE margin. 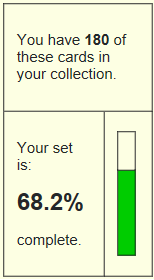 Considering how early I am into the typing project, I now think that it's likely that I got more than 100 new sets on the day, which is surely a record that will never fall. I'm not even to the big box of cards from my friend Ricky yet, which has lots of sets in it. Actually, I would not even be really shocked if I hit 200 new sets. Even an entire major brand is among them. Before 1/31/2015 I did not have a single O-Pee-Chee card in my collection. I've got more than 100 now, and quite possibly that many from the 1989-90 hockey set alone! But all that is not the topic for today's blog. I have discovered, that typing these in, and cataloging all these cards...I have a feeling that I have not had in a long time. 1996 to be exact. I have the feeling of the sense of wonder, and newness, and excitement, that I had when I first started collecting the NBA. There was so much to learn then, and so much I didn't know, and had to research...it's a feeling that I lost a long time ago. I don't know if it means I have become jaded (I hope not) or if I just know too much to have that sense of wonder, but by time the 1996-97 season was over, it was gone. I never really had that feeling with NASCAR, because when I started collecting them, they only had 5 year's worth of sets issued, less than 20 different sets, and several of those I didn't experience in hand until the early 2000s. I was NEVER able to get large mixes of assorted NASCAR cards, so they were all in groups by set, or in rare cases, as single cards, so that sense of wonder and excitement never truly happened as I generally knew what I was getting as I got it. But all these cards- mostly hockey, some baseball and football-that sense of wonder and excitement is back. It's a little easier now to determine what sets the cards go to, and which are parallels and which aren't. When I started collecting the NBA, and getting them in mixes, in 1996, there was no internet. Back in the day, you had the Beckett annual price guide and you have to manually look through each set you thought it might be, and try and determine if it was from that set or not. Now, you simply pull up which set you think it might be on the Database, and there's usually a scan there to help you determine...and if that card is not scanned, others in the set usually are, so you can tell. It's a much better system than paging through the tiny, not always accurate Beckett, that's for sure. Let's put it this way- of the cards I've entered yet, including from those 46 new sets, there was not 1 that I was not able to figure out what year and set it goes to via the Database. I know this feeling probably won't last. I don't have the finances to take on a new sport, I can't even do all the NBA and NASCAR sets. (I do know that if I did take on another sport, it would have been hockey, even before this stash of cards made their way to me). Not to mention the fact that the other sports all conflict with the sports I already follow. I only have one set of eyes and ears to watch and listen to events with. (To be honest, I actually listen to the sports more than watch them, as it is, looking up only when I hear something interesting is happening). Once I process these cards, I'm going to put them in boxes and it will be some time before I deal with them again. I will- once I finish my NBA collection, I'm sure I'll make charts of my other sports, but that is going to be a couple of years from now. Processing them will take some time, though. After I finish typing them in, a process that will take me several more days, most likely, I will need to enter them into my collection chart on the Database, which, at the same time, I will determine and separate them by which need to be scanned and posted, and which are already done. The ones that are done, will go into a box labeled to be scanned after I finish scanning everything else (I have boxes of NBA, NASCAR and Star Wars cards that other people posted before I got them scanned, as well, to do after I finish everything else) and the ones that need posting will be mixed in with my NBA and NASCAR to-be-scanned stacks, where I will mix them in until I run out. I've discovered that I enjoy doing a mixture of everything more than just groupings by set or player. Unfortunately for me my entire NBA collection is mostly sorted by player, many of them over 100 cards per player. But I digress. Eventually I will get them all scanned, for posting on my own personal website, but I'll spend time doing the ones I can post to the Database before I do the ones somebody else already posted for now. So, I'll be working with these cards for quite a while still, then not for a while, and then again. So maybe then when I get back to them, I will get that feeling of newness and excitement again? Only time will tell (but I'm sure I will document it on this blog- I've only been at it for 2 months but I have no plans to stop any time soon! I thought I would debut a new feature today, a look back at the previous month in my hobby. And of course, take a look at some cards that I have not posted yet. January was an overall unpleasant month in real life, but the cards were great, of course. Not even counting the huge epic mailday I posted about yesterday, I had already gotten 699 new cards in the month- and more than half of them came from trades, which is always a good thing. 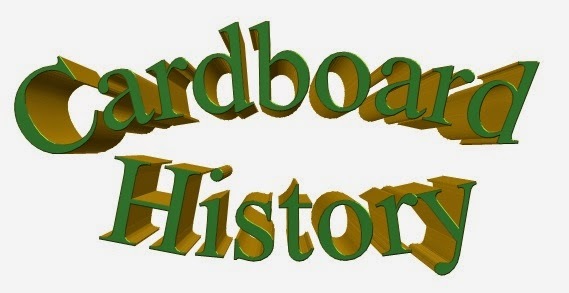 I have been constantly tinkering with Cardboard History itself, adding many new features in January, including a Blogroll, my Top 10 Wants, links to my tradelist and semi-complete wantlists, I figured out the Tagging feature, and I added several pages to the top, where you can follow along as I add new cards of my favorite player in the NBA, and view a listing, with links to the gallery, of all my completed sets. I have some more things I want to add, just need to make the time. I returned to Ebay, for the first time since 2009. Back then they went to where you MUST pay with Paypal, which I do not have. Sometime recently they allowed you to pay without Paypal, so I made 4 purchases. One NBA card, two NASCAR cards and one Non-Sports card. The NBA card I chose is visible on my Elton Brand chart, #3 on the list. 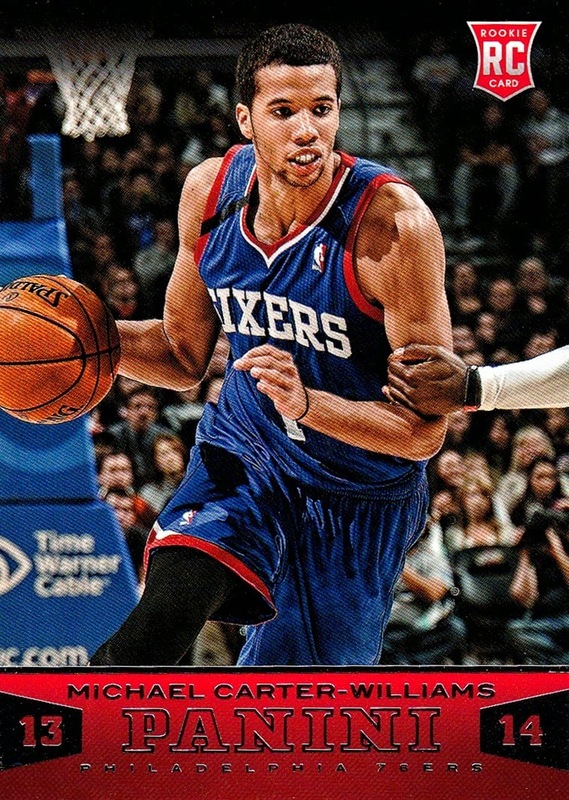 I hit NBA card #77,000 on January 1st. I knew I was getting close, so I pulled from my stash of mixed boxes until I hit the exact mark, and stopped there, for that day. I'm actually doing better with adding to them than I thought I would, it's not like the peak years where I was adding 1000 new cards a week, but I think I appreciate the cards more now. I even take the time to read the backs, something I didn't do when I was getting that many new ones- I didn't have the time to do that back then, I could barely keep up with keeping my Excel chart up to date...which I ended up losing to a floppy disk corrupting. That happened sometime in 2005, and it still stings...but, I am working on (slowly) recreating it, and even better than it was before. I added 8 new people to my collection in January, 6 NBA and 2 NASCAR. (I only keep track of these two sports- but I got hundreds, if not thousands, of new people in baseball, football and especially hockey yesterday) 3 of the NBA players are rookies who I got in Prizm, which came out in January. My brother treated me to a shopping bag full of Rack Packs, some of which I have not yet opened. Of the 6, 3 of them are One Hit Wonders! Besides Scott Meents, who got a post in One Hit Wonders, and Rex Hughes, who was detailed in "My Largest Trade Ever", the other is Mark Hendrickson, who played briefly with the 76ers in 1996-97. He only got one NBA card, although he does have college cards in my collection, those don't count towards the NBA collection. For NASCAR, I picked up a card of former Miss Sprint Cup/current broadcaster Monica Palumbo off Ebay, and then I found a website that was selling the 1991 Track Pack Yesterday's Heroes set for a great price, and added Jim Roper, who won the first ever NASCAR race- but only ever got one card. I only added two sets, not counting the massive amount I got yesterday. That would be 2014-15 Prizm, and this one- now my oldest card in my collection, from 1909. This was the non-sport card I picked up off Ebay. Kind of amazing, but I was able to get this 106 year old card for under $6. 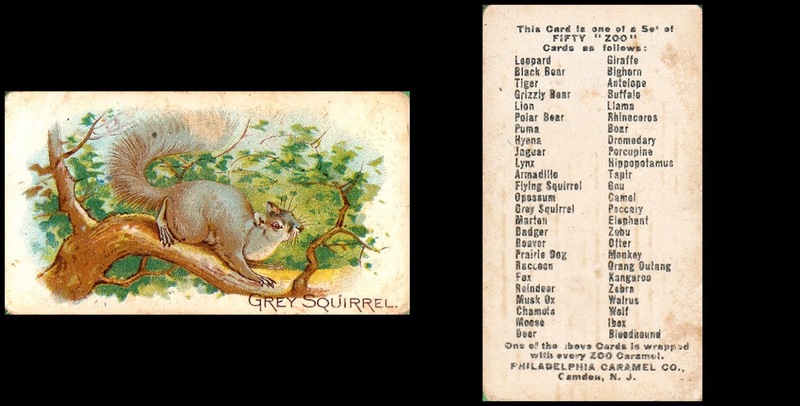 And it's a squirrel, so you really can't go wrong! It appears this card predates the concept of numbering cards. I opened one box in January 2015. Press Pass Cup Chase. I don't usually like to spend that kind of money on myself, but being the last Press Pass set ever- and the last NASCAR set for the forseeable future- I had to. I loved it, and it got it's own post last month. I also nabbed this relic parallel on Ebay. I was quite surprised but pleased to pay less than the serially numbered print run for this one. I should have taken a better photo without the glare, but I mainly wanted the show off the green foil and the 07/10 SN. Here's the Jim Roper card I mentioned earlier and a really great looking insert from 2012-13 Crusade...also named Crusade. (I hate when card companies do that). Tim Hardaway Sr.'s not my favorite player, but I have always loved the refractor technology. This came out of the mixed boxes I love so much. I found out this card existed during the month of January, and added it to my collection as well. It was exclusive to Club Maxx in 1991. They also did a handful of them in 1992, of which I have the Elliott from that year as well. I did get this great error, though. I love error cards...you can somewhat see the kind of damage most of the cards have from the photo though. Scuffs, bad corners, dents throughout. And then....there's this. I never have any luck with redemptions. I usually send them and get nothing back. (Fleer still owes me some) Not this time! Only my second triple autograph in my collection. First NASCAR. Those are on-card, too, not stickers. That doesn't matter too much to me, but I know a lot of other collectors care. And before anyone asks....it's not for sale! It's my third Newman autograph, but first for Tony and Danica. As always, thanks for reading! I'll post the grand total of cards added in January when I finish going through all the new ones I got yesterday...but that's not going to be for a few days more!